Beware! 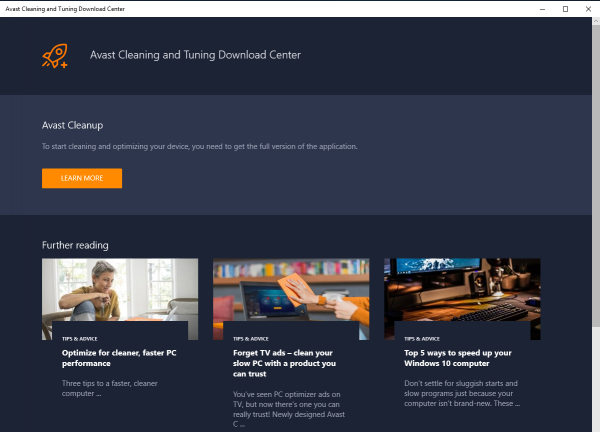 Avast, maker of the widely used Avast Antivirus software, uploaded Avast Cleaning and Tuning Center to the Windows Store recently. The application can't be used for cleaning or tuning; all that it does is provide a link to download the Win32 version of Avast Cleanup, a commercial program, to the system. It highlights articles published on Avast blogs next to that which open in a separate app window. Contacts Map is a straightforward application that pulls contacts information from the People application to display the location of contacts on a world map. You can zoom in or out on the map, and use Contacts Map to edit addresses or contact information, look up details about individual contacts, and write emails or initiate phone calls from the app. 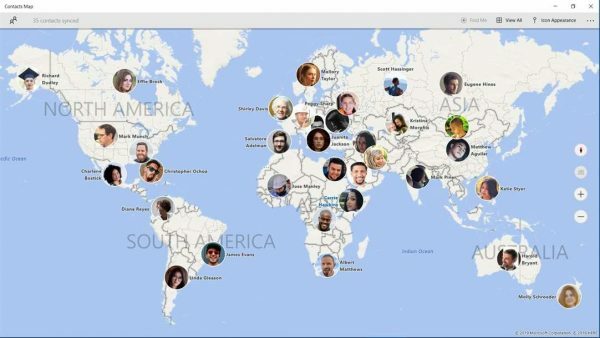 The free version of Contacts Map is limited to 50 contacts. A Pro version is provided that removes the limit. 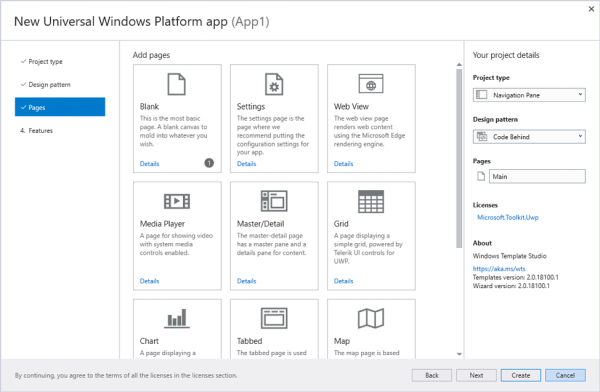 The Visual Studio extension Windows Template Studio assists developers when it comes to the creation of Universal Windows Platform applications. Version 3.0 comes with new and improved functionality such as multi-protect solution support to create UWP and .Net Core project outputs, or usability improvements. Mail and Calendar update introduces option to set font type and size. Microsoft To-Do gets Cortana integration. Twitter PWA update comes with event and image uploading improvements. Images that you upload can be resized or cropped before you publish them.